1. 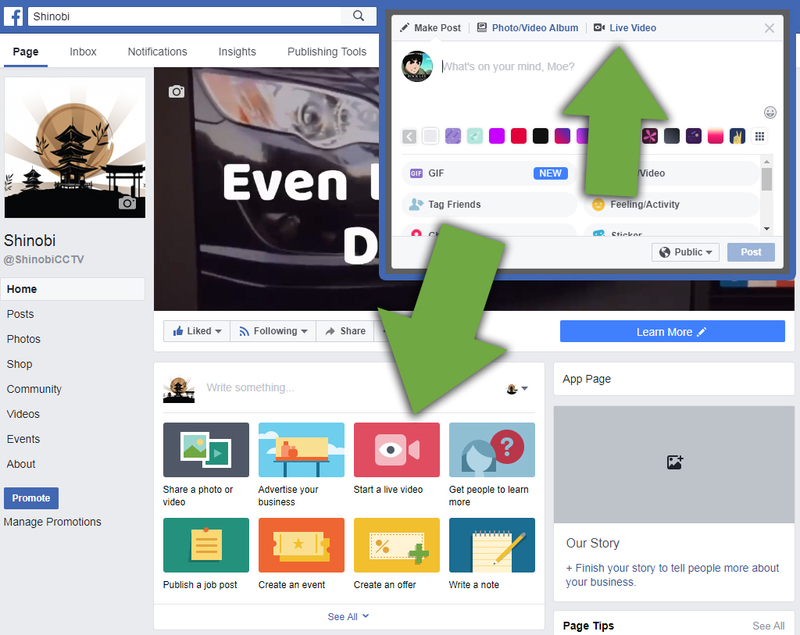 Open Facebook and start a Live API streaming session from either your "Facebook Pages" page or your Profile page. 2. Click the Connect tab. Now you are ready to stream to Facebook Live API. "Enable Persistent Stream Key" maintains the same key even if you close the session window. 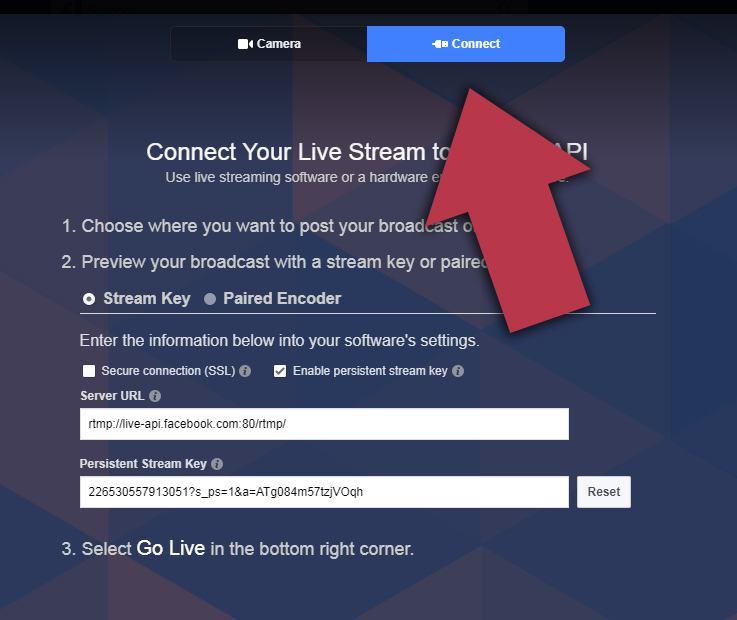 If you need to reset the key at any time you can simply click the Reset button on the right of the Stream Key. 3. Now head on over to your Shinobi panel and open the Monitor Settings window to a camera with a steady connection. Open the Options menu and click Add Channel. 4. 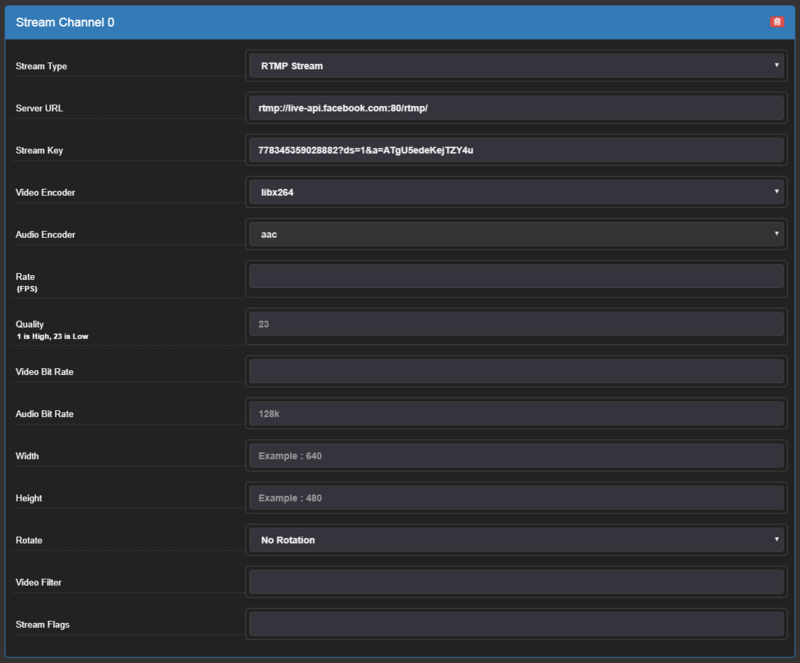 Now you should have a new section called Stream Channel 0 (Assuming this is a monitor without any channels already added). All you should need to do is add your Server URL, Stream Key, and set Video Encoder to libx264. The rest can be left as it is shown above in Step 4. 5. Head on back to your Facebook Live API session and you should see a preview of your stream. 6. 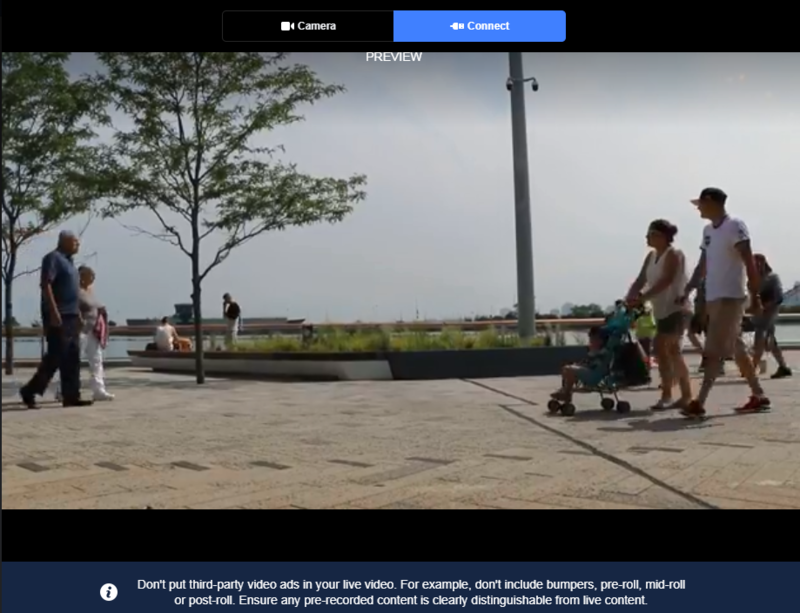 Click Go Live in the bottom right corner and your video will start streaming to your page for your viewers.